Chloe Tabah currently serves as Development Manager for the Society of Fellows (SOF) program in the of the Office of Institutional Advancement. She works to curate and support the planning of year-round programming nationwide and to oversee the preparation and execution of all events in Aspen, Colorado for SOF members, an important constituency of the Aspen Institute. Chloe supports the cultivation of prospective philanthropic partners and the stewardship of existing SOF members, in addition to the development of program strategy and planning. 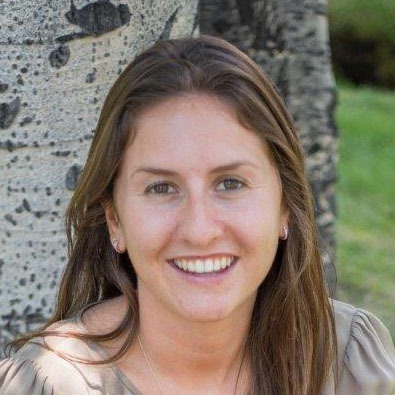 Chloe joined in the Aspen Institute as a Development Coordinator in 2012 after graduating from Middlebury College with a dual degree in Psychology and French. She earned a graduate certificate in Impact Inventing and Social Enterprise Management from the Middlebury Institute of International Studies at Monterey in 2016 and has a passion for the ways in which the marriage of philanthropy and investment can yield high impact. She lives and works in Aspen, CO. When out of the office, Chloe spends her time enjoying outdoor adventures, reading, listening to podcasts, and traveling.